An internationally certified interactive two-day course ideal for professionals who are looking to understand and implement Belbin Team Roles theory within the workplace and/or who will be teaching the model. Explain the nine Team Roles; their origins, relationships, similarities and potential areas of conflict. Interpret individual reports, and identify key areas to aid self-awareness and development. Give feedback on 360° reports to enable an individual understand how they are perceived by others and what are likely to be their key roles within the team. Identify strengths and weaknesses of a team, using both individual and team reports. Profile jobs in terms of Team Roles, for use in development, training, internal and external recruitment. Run Belbin training sessions and teambuilding workshops by building on information and suggestions from the Belbin trainer. 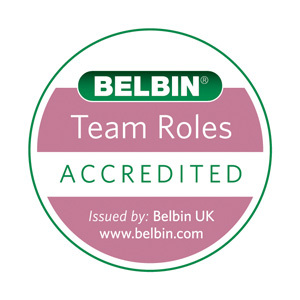 On successful completion of a concepts assessment test, Belbin Associates of Cambridge UK will register you as an Accredited Belbin Team Roles Facilitator granting you the right to use the model both within NZ, the Pacific Islands and in the international market. You will also gain membership to a growing network of skilled and innovative Belbin professionals as well as ongoing updates, resources, information and support from Belbin. A maximum of six attend any one programme so that we can tailor aspects of the course to participants’ particular needs and use discussions to address specified areas of interest. The programme runs at least five times each year – rotating between Auckland, Hamilton, Wellington and Christchurch. We can also offer an in-house programme on request where 3 or more partipants are from the same organisation. The cost is $1950.00+gst. This covers the programme and all materials, lunch, refreshments on both days and copies of Management Teams: Why They Succeed Or Fail (3rd ed.) and Team Roles At Work (2nd ed.) both by Meredith Belbin and the marking of your accreditation test by Belbin Associates UK. It’s more than just nine Team Roles, and it is definitely not about putting labels on people. Strengths and associated weaknesses are explored in-depth along with the implications of similarities and differences, 360° feedback, team overviews and job analysis. The Belbin language that has helped individuals and teams to communicate and work together with greater understanding for over 30 years, will become second nature to you over the duration of the course, providing a useful basis to discuss team and individual issues. We will share practical ideas on how to use the reports and theory with a variety of workshops and training courses, and how to interpret the reports for 1:1 and team feedback. Your increased depth of knowledge and understanding will stand you in good stead when fielding questions from the more demanding course delegate! You will have full back-up from our Belbin NZ office, so before giving feedback or running a course/workshop, you can get our comments and suggestions. If you are interested in becoming accredited, please get in touch.